Testimonials — Fetters Construction Inc.
Fetters Construction Inc. has been awarded numerous industry achievements throughout our many years in business. But none of them is more important than the praise we’ve earned from our clients. We think their comments attest to our endless pursuit of excellence in everything we do. And we invite you to learn more about us from those who know our work best. 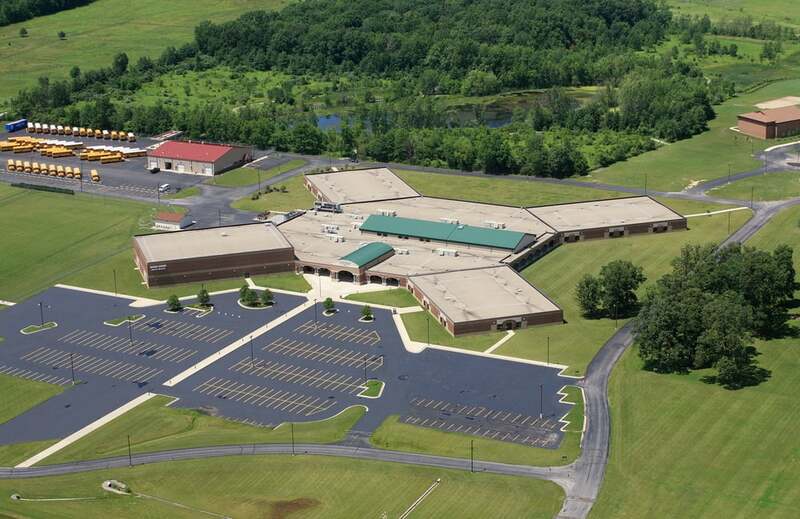 In 2012, Fetters Construction was awarded the construction project for the K-12 Campus Project at Heritage Jr./Sr. High School. The project included renovations to the existing building and an elementary addition for Kindergarten through 6th Grade and an addition for additional High School Science classrooms. Their dedication to completing our project on time and within budget and their communication with staff and administration was excellent. Without hesitation, EACS would utilize the services of Fetters Construction for any of our future projects. I highly recommend the services of Fetters Construction for any school project. I want to express our gratitude for all of your person efforts in bringing the Tribute to life. Your commitment to excellence in every aspect of this project has been evident throughout the past year. We were never without a clear picture of the status of the project, and your attention to the details of the effort gave us an incredible degree of confidence as the Tribute was built. The Tribute structure and the surrounding Alumni Plaza beautifully capture the essence of how Pierceton alumni feel about our old school. I know you see dozens of projects during any given year, but you made us feel as if ours was the only responsibility you had. It has been our pleasure to work with you over the past months as we've dreamed about, planned, and constructed the Tribute. Throughout the last several years, Fetters Construction has been involved in several successful building projects on the Huntington University campus. Our latest collaboration with Fetters Construction was the renovation of our Dining Commons. The project required great expertise on a fixed timeline. They were able to accomplish this project on time with results which exceeded our expectations. I would highly recommend Fetters Construction if you are looking for a company with a great work ethic, outstanding communication and the ability to complete a project in a timely fashion. We enjoyed working with Fetters Construction on our two elementary building projects. Fetters construction had already shown the corporation they were good as they had renovated our high school prior to my arrival at Whitko. This project was a new construction of one elementary school and a complete renovation of a second elementary school. Our experience was one of professional work, great project completion and satisfaction with their final product. I have worked with several construction firms over the years and Fetters would certainly be the top performer on my list. On time, under budget, well managed with no finger pointing, just a let’s get this completed correctly mentality. That’s what we received from Fetters on our projects. I just wanted to drop you a note to express how pleased we are at Faith Chapel United Methodist Church with our new addition. I do not think the project could have went any better. The initial design work and time spent up front making sure the building was going to include what we wanted and needed and keeping our budget limitations in mind was perfect. Nick as project manager went over and above keeping us informed of the progress, what to expect next, making sure we had selected far enough in advance the carpet, wall colors, kitchen cabinets and appliances, etc. The building was completed on exactly the date that we were told and the building is now in use. Congratulations on a project well done. The Northern Wells building project consisted of two buildings at different sites. The first project was a 60,000 square foot auxiliary gym and locker rooms at Norwell High School, and the second project was the 130,000 square foot Lancaster Elementary School. With cost being a major concern of any building project, Fetters Construction recommended that we do value engineering. We agreed to the value engineering, and it was one of the best cost-savings decisions of the project. This concept brings to the table a combination of cost-saving ideas between architect and contractor. We needed to know what the project would cost before bidding. The bids came in under projected cost, which allowed us to take some of the alternates that were needed. MacAllister Machinery Company Inc. hired Fetters Construction Inc. to quote and build a 50,000 square foot facility at our Fort Wayne location in 2004. They were picked from a total of four design/build construction companies. During the negotiations and the construction process, I was very impressed with Fetters' employees as it relates to professionalism, knowledge, friendliness, and change on the fly designs. Fetters Construction completed work on the new Kendallville Public Library. From the groundbreaking ceremony to the dedication and open house Fetters worked with the library staff and board members to make the construction process a positive experience. The library board made some additions to the project rather late in the schedule and yet we were still able to move into the new library on our target date. As director I was well informed as to the weekly progress as well as any problems encountered. All subcontractors were held to the same high quality of workmanship that Fetters expects from its own workers. Any questions or concerns during the project were addressed quickly and always handled to my satisfaction. Fetters Construction has served Huntington University for many years providing a range of services a small window replacement project, to a medium size student residence hall, all the way to the construction of a state-of-the-art 80,000 s.f. science building. In each case, they have done excellent work in a timely manner and on budget with any variances identified, discussed and approved in advance. The firm's team has demonstrated a high sense of trust and a desire to serve as a partner with the University. While work is well documented, I have come to learn that a verbal assurance by Fetters Construction is absolutely solid, effectively removing much of the anxiety that can exist in a major construction project. The business affiliations of both me and the City of Fort Wayne go back several years. Fetters Construction Inc. has been the successful low bidder on several fire station projects with the City of Fort Wayne, the latest being Fire Station Number 18 located in the southwest corner of the city. Often dealing with the low bidder on public bid projects can be a challenging process, but not with Fetter Construction Inc. From the project manager to the jobsite superintendent, the employees mirror the concerns of Fetters Construction Inc. for delivering a quality project on time and within the budget. Their communication with the owner and their ability to see a problem before it becomes a problem are the keys to their success. Each project Fetters Construction has completed has been finished on schedule. The communication and scheduling was always exceptional and the quality of workmanship is superb. On most of our larger projects we have employed Fetters Construction to perform value engineering to assist the design and development process. Their expertise allowed NACS to save significant taxpayer dollars and to end up with a better and safer project. From start up to final completion Fetters Construction was ready to complete every task required and could be counted on to assist the owner whenever called upon.